A prominent Pakistani industrialist, his two sons and driver are gunned down in broad daylight. In another world thousands of miles away, Danyal is heading home on the Gatwick Victoria Express after a year long internship with a US senator. He is stunned to see a leading actor sitting unnoticed opposite him but plucks up the courage to say he’s a big fan. The star is more interested in Danyal and seems fascinated to know what it feels like being a Muslim living in a world where anything goes and where the Muslim faith is at odds with itself. 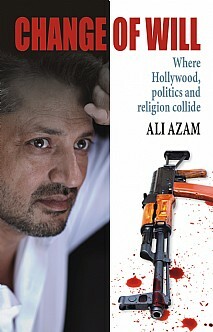 He asks for Danyal’s advice as he prepares for a visit to recce a new film in Pakistan. The glamour of the film world mixes uncomfortably with politics and religion. It is a conversation which will ultimately cost lives.